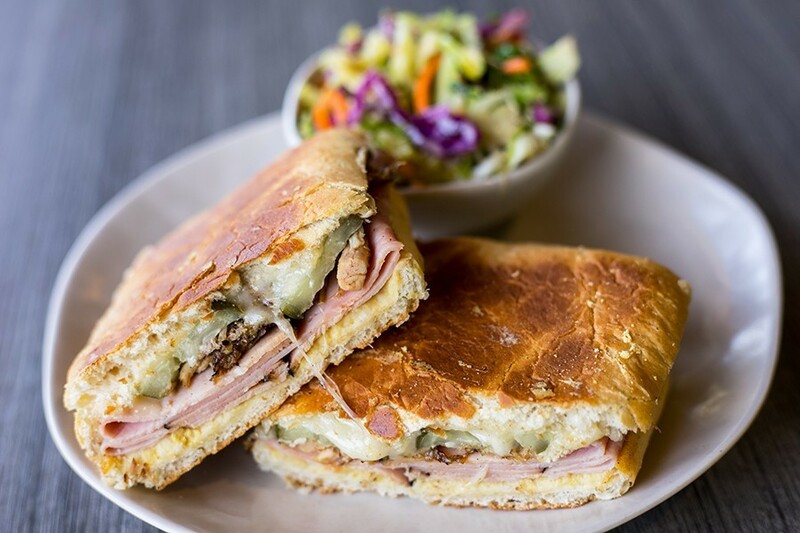 Bloom Cafe's Cuban panini may be the best you'll have in St. Louis. 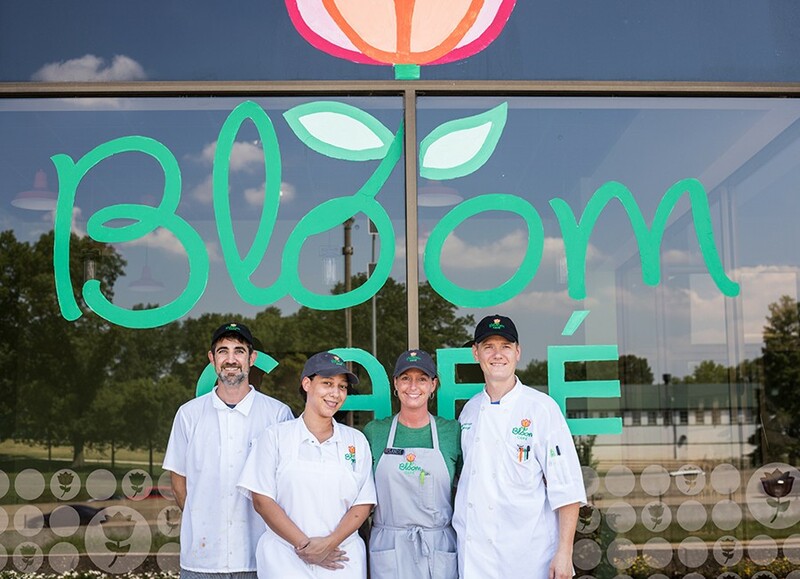 The first thing you'll notice upon entering Bloom Café is how open it is. 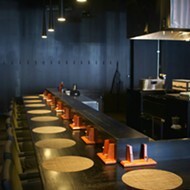 Though there is ample seating, tables are placed far apart, and the area in front of the order counter is so spacious it could hold two dozen diners. In fact, one of the cafe's few negative reviews on Yelp thus far has focused on the setup — that the space seems "weirdly" oversized. That comment might amuse the folks at Paraquad, Bloom Café's parent organization, but it belies a much more serious matter: the reason a restaurant like this needs to exist. 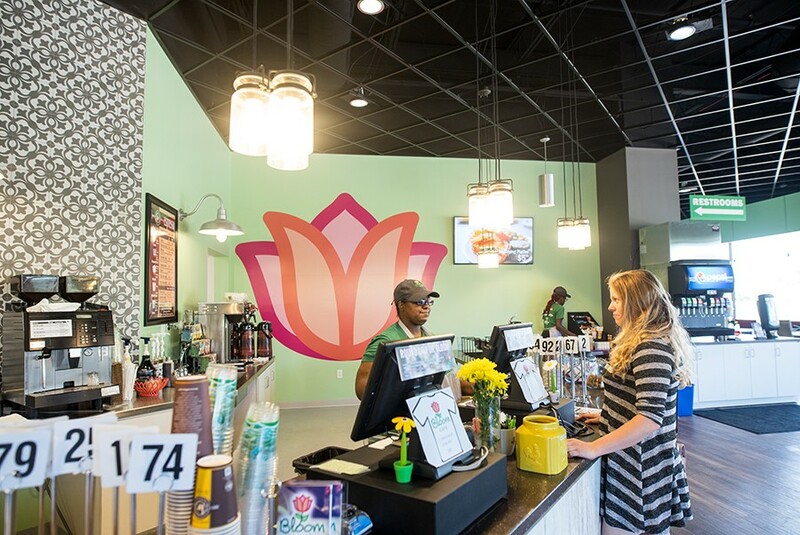 As the area's preeminent agency dedicated to empowering people with disabilities, Paraquad intentionally designed the Bloom Café setup to be accessible to everyone, with or without a mobility assistance device. If you question whether this is necessary, think back to the last time you nearly shoved your backside in a stranger's face while awkwardly sliding into the adjoining banquette at one of those ultra-hip (and ultra-cramped) eateries. Now imagine trying to do that in a wheelchair. As difficult as that task may sound, finding gainful employment as a person with a disability is just as tough. According to Paraquad spokesman Jacob Kuerth, the unemployment rate for people with disabilities has not changed in 60 years and is twice that of people not living with a disability. The cafe has counter service. Paraquad saw an opportunity to tackle the problem. 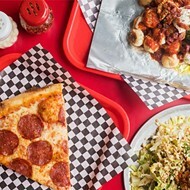 As part of an expansion that began last year, the agency converted the mid-century building it owns on Oakland Avenue into a fast-casual breakfast-and-lunch café with a mission to provide training and paid internships to people with disabilities looking to get into the food-and-beverage industry. The cafe partners with St. Louis Community College–Forest Park's School of Hospitality Studies on training and is run by culinary director Joe Wilson, who has been a chef instructor for both Southwestern Illinois College and St. Louis Public Schools in addition to serving as the Muny's executive chef for the past eight seasons. 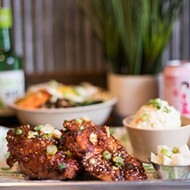 But if its mission has you rooting for the Bloom Café, its food will have you cheering. 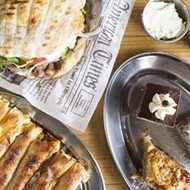 Though it's serving simple cafe fare, it is consistently well executed. 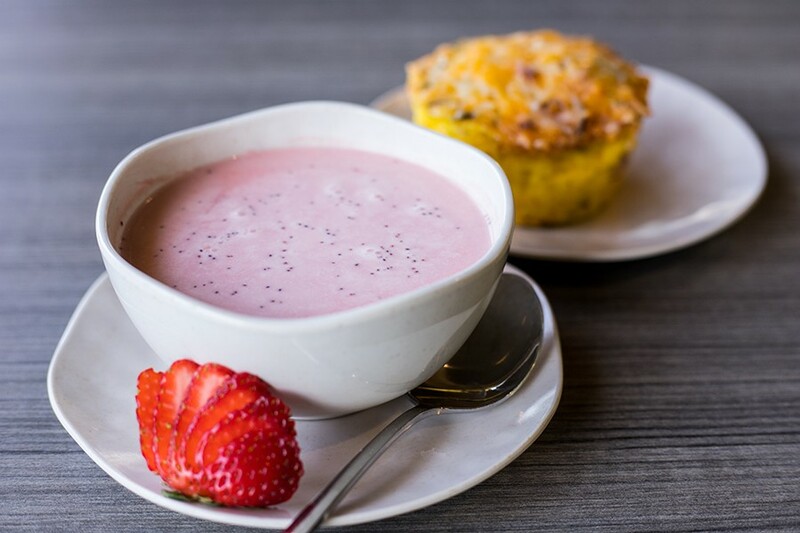 Offerings also include a chilled strawberry soup and veggie frittata. That's certainly the case with the Southwestern-inspired breakfast burrito, which is overstuffed with sausage, scrambled eggs and grilled bell peppers. Molten pepperjack cheese binds the ingredients, and a griddled tortilla holds the contents together with a crisp exterior. Mild tomato salsa is more there for brightness than spice, but not to worry; there are bottles of Cholula hot sauce available for us heat seekers. For the general population, it's lovely without this addition. "Grandma Lucille's Veggie Strata" is the Bloom Café's most delightful savory breakfast offering — a fluffy, muffin-shaped egg casserole filled with a garden's worth of fresh vegetables. Squash, zucchini, spinach tomatoes and avocados abound in this creamy, cheese-laden concoction. It's like a small veggie omelet for your hands — because who has time for utensils when something this wonderful is begging to be devoured? 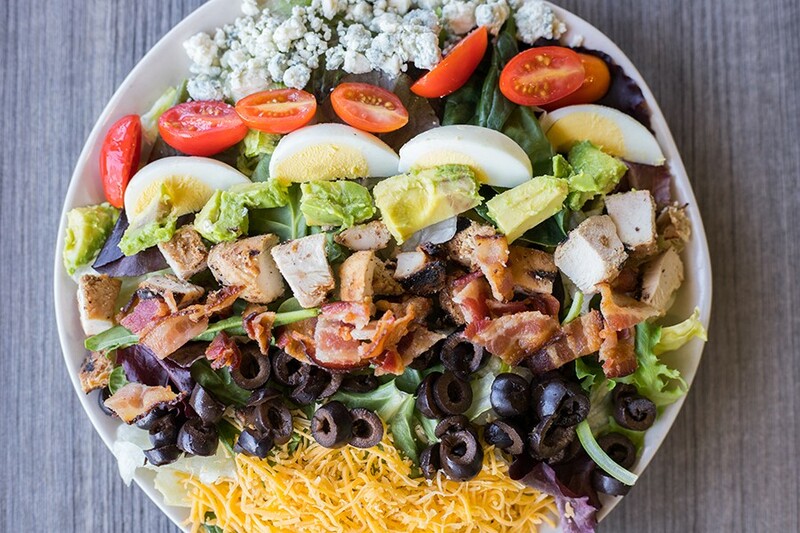 The "Forest Park Cobb Salad" comes complete with bleu and cheddar cheeses and hard-boiled egg. Conceptually, I appreciated the ham-and-egg "Breakfast Blooms," which provide the focal point of the "Blooming Platter." Thinly sliced ham is formed into the shape of a bowl and baked, forming a meaty, caramelized container for eggs and cheese. If those eggs were scrambled or poached, it would have been divine, but instead they are hard-boiled. They make for a dry mouthful, even when covered with melted cheddar and Monterey Jack cheese. I found myself removing the eggs and stuffing the ham shell with the accompanying breakfast potatoes. The soft cubes are laden with paprika and garlic, giving them a deep, smoky flavor that seemed destined to be paired with that ham. Perhaps it was meant to be. Lunch equally hits the mark with classic cafe fare, such as an exciting vegan version of a Caesar salad. Crisp romaine and pumpernickel croutons give the feel of a traditional Caesar, but in place of an anchovy-based dressing, the Bloom Café uses one anchored by cashews. The flavor is surprisingly deep and brightened by lemon, but the texture is even more enjoyable; the ground nut gives the sort of mouthfeel you'd get from the Parmesan cheese in a non-vegan Caesar. You don't feel like you are missing a thing. The classic reuben is griddled, giving the bread a buttery golden interior. 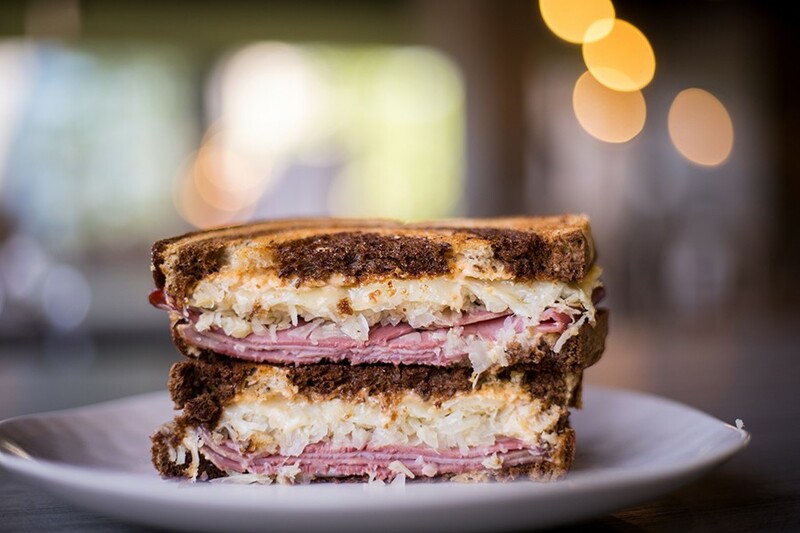 Bloom Café's reuben is a solid rendition of the classic sandwich. Smokey corned-beef brisket is piled onto swirl rye bread, along with tangy Swiss cheese and even tangier Thousand Island dressing. It's then griddled to give the bread a buttery golden exterior. Inside, the fat from the beef, molten cheese and sauce all soak into the bread, forming a heavenly condiment that is greater than the sum of its parts. The reuben's beauty is only surpassed by the Cuban, which may be the best version I've yet to have in St. Louis. The bread, a crucial component, is appropriately crusty and airy. Between its rectangular slices are ham and pulled pork that is so succulent its smoked-infused juices act like a sauce. Swiss cheese melts over the meat, and Dijon mustard and pickles brighten every bite. Looking out onto the colorful umbrella-covered patio, you'd be forgiven for momentarily thinking you were in Miami. The cinnamon roll is the best thing at the restaurant, hands down. 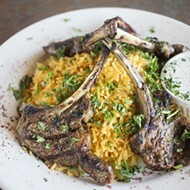 At this point in the meal, you might be so pleasantly sated, you're tempted to skip dessert. Don't. 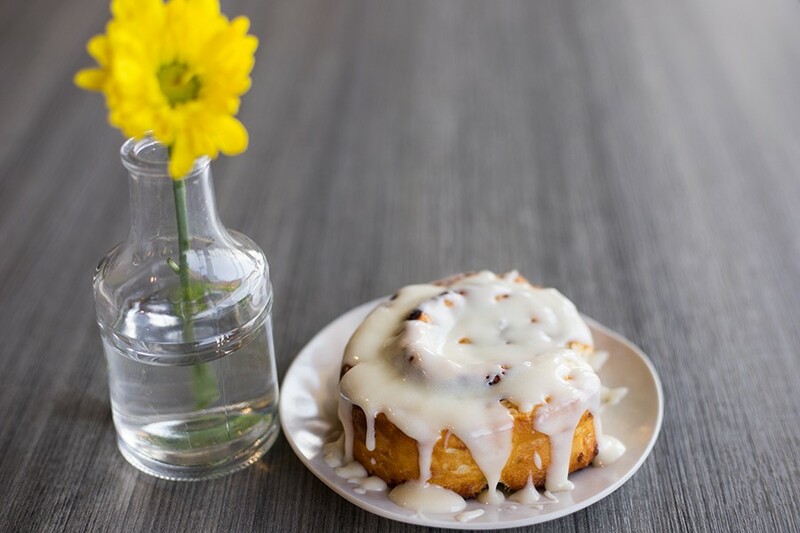 Bloom Café's cinnamon roll is the best thing at this restaurant. This warm, gooey pillow is so fluffy and soft I wanted to give it a snuggle. Every last crevice of the roll is filled with cinnamon and thick, creamy glaze — not, as is so often the case, just the exterior. And that glaze is no thin coating of sugar. It's as thick as cream cheese and positively decadent. After dining at Bloom Café a few times, I'm convinced that the only thing "weirdly oversized" about the place is my love of that cinnamon roll. Social enterprise or not, I'd be going there as often as possible to get my fix of that perfect sugary dream. That I can indulge even while supporting a great cause is the real icing on the roll — and another reason we should all keep coming back for more. Chef manager Jeremy Robinson (far right) with (from left) cook Joe Leonard, cook Carmen Moore and cashier Sandy Taubenheim.